Alfred W. Greenwood entered railroad service in 1860 with the Pennsylvania Railroad, rising to Master Mechanic of that road’s Huntingdon Shops. He joined the East Broad Top in 1882 as the Master Mechanic for the narrow gauge and served in that capacity for thirteen years. 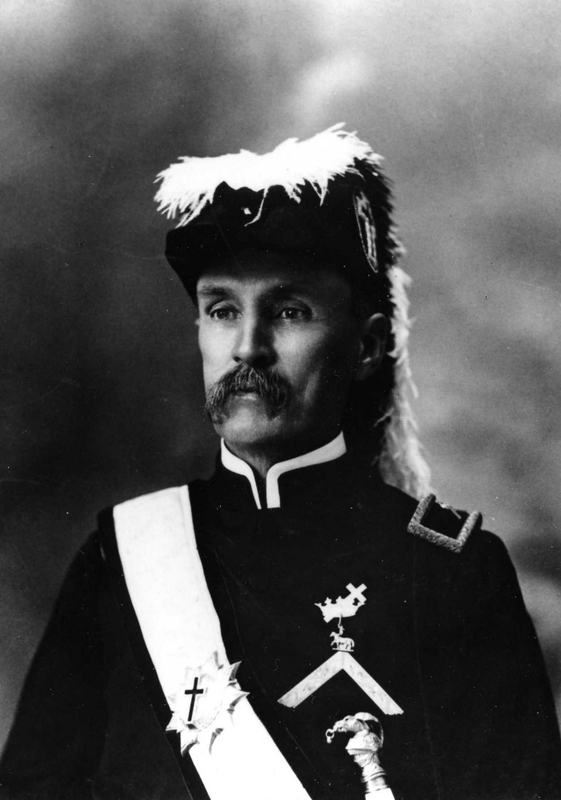 In 1895, he became acting superintendent and was promoted to superintendent the following year. The building that is now the Iron Rail Bed and Breakfast was his long-time residence. As Master Mechanic, Greenwood presided over the development of the Rockhill shop facility that still exists today. The East Broad Top’s handsome and powerful second-generation motive power ?Ten-Wheelers and large-firebox Moguls ?also originated during his tenure as Master Mechanic. As Superintendent, Greenwood had the misfortune to serve during a period when the road’s finances were at a lowest ebb. The respect in which he was held at his retirement is confirmed in the letter of commendation and thanks sent in recognition of his faithful service by long-time President William Ingham. The "Greenwood" room is a favorite among guests. 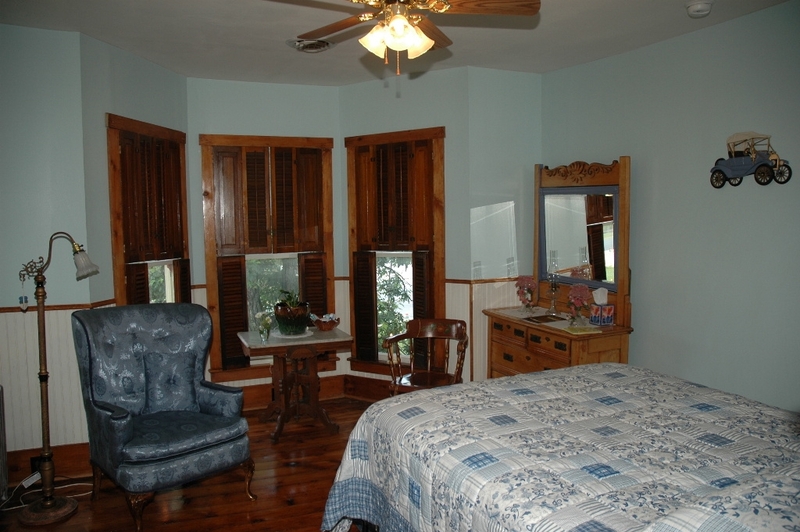 Noted for its bay window with original shutters, it features antique furnishings and a private bath. 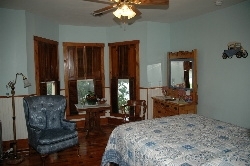 The "Greenwood Room" - The "C. D. Jones Room" - The "Robert Seibert Room"
Copyright © 2007 The Iron Rail Bed & Breakfast. All rights reserved.